Executive produced by Patagonia founder, Yvon Chouinard and directed/produced by Josh “Bones” Murphy, ‘Artifishal’ tells the story of fish hatcheries and fish farms from California to Norway. It explores wild salmon’s slide toward extinction, threats posed by fish hatcheries and fish farms, and our continued loss of faith in nature. The film will World Premiere at the 2019 Tribeca Film Festival on Thursday, April 25, 2019. Artifishal is a film about wild rivers and wild fish. It explores the high cost – ecological, financial and cultural – of our mistaken belief that engineered solutions can make up for habitat destruction. The film traces the impact of fish hatcheries and farms, and the extraordinary amount of American taxpayer dollars wasted on an industry that hinders wild fish recovery, pollutes our rivers, and contributes to the problem it claims to solve. 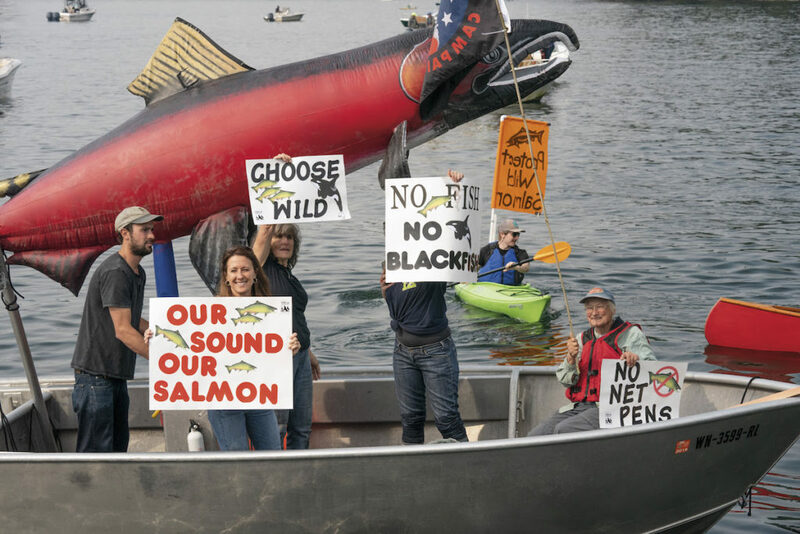 Artifishal also dives beneath the surface of the open-water fish farm controversy, as citizens work to stop the damage done to public waters and our remaining wild salmon.